7. What’s a Good App Store Page Conversion Rate? 4. How to Run A/B Test on the App Store? 8. How to Check Statistical Significance of A/B Tests? 5. How to Create High-Converting App Previews? 6. How to Work With Positive and Negative App Store Reviews? 7. How to Choose and Set up Mobile App Tracking Platforms? If you’re new to the SplitMetrics blog, check out this post to equip yourself with insights into App Store Optimization (ASO), deep understanding of mobile A/B testing and the most efficient hacks to empowering your Apple Search Ads. App Store Optimization (ASO) is one of the main activities that helps publishers to be discovered. Explore basic and advanced tricks to app store optimization and learn to run comprehensive ASO audits like a pro. App store success is impossible without sustainable ASO plan and so-called natural positioning of your app. The SplitMetrics team created a convenient app success map to guide you through app store optimization best practices. This unique course is created for app publishers and marketers willing to hack their app growth. A wide range of app marketing channels is explored (including app store optimization) by more than 30 experts from such companies as SplitMetrics, AppsFlyer, Buffer, Rovio, Google, Chartboost and others. Apple claims that 65% of downloads are the result of a search in the App Store. That’s why app store optimization for competitive surrounding is a must if you want to increase your app’s appeal for organic users. Category and search A/B tests can really help you with this ASO aspect. Optimization of your listing in App Store Search is one of the keys to hitting organic traffic jackpot and facilitating overall app store optimization efforts. Learn the most important benchmarks regarding search and ASO tips on improving your ranking. Creative Sets in Apple Search Ads let users align different creatives to various keywords and test assets for Apple App Store ads. However, this testing method can’t be compared with full-fledged A/B experiments as it has multiple limitations. All app publishers wonder what’s a good conversion rate for their category. Indeed, it’s one of the most vital metrics you need to know before getting down to app store optimization. We’ve analyzed over 10 million users from hundreds of experiments and prepared category benchmarks for your future ASO activities. It’s not always easy to understand whether your ASO efforts are efficient and bring desired results. 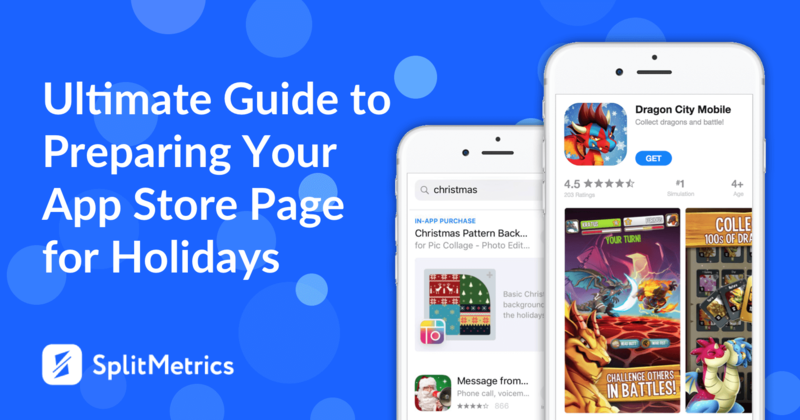 Find out the metrics you’re to track and the KPIs that indicate the success or failure of your App Store Optimization strategy for mobile apps and games. 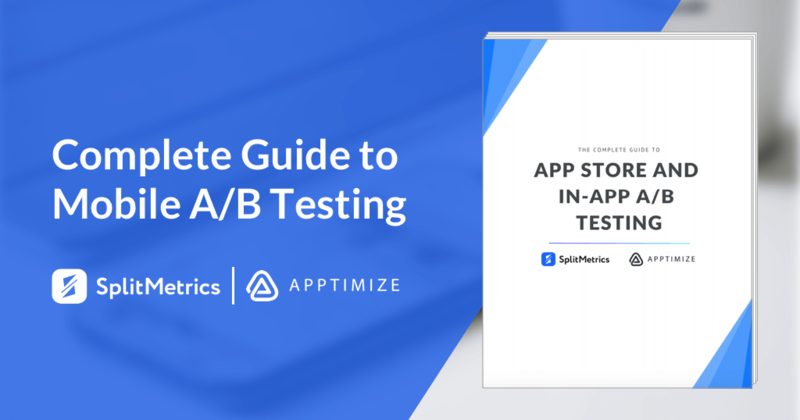 This guide was created in collaboration with Apptimize and uncovers all secrets of successful and impactful mobile A/B testing: from store product page tests in pre-launch to tricks to long-term product growth with help of in-app A/B experiments. A/B testing is a powerful unit of any app store optimization arsenal. Such experiments have the power to boost your conversion rate but there are quite a few aspects you should consider for the success of your tests. If you’re new to A/B testing, it might seem a bit overwhelming and confusing. The truth is this method is not as simple and straightforward as it may seem. Find out all details about each step of a classic A/B testing workflow to empower your ASO strategy. This webinar provides you with a step-by-step guide to A/B experiments. It tells how to make the most out of your A/B testing activity, enhance your app store optimization strategy with it and take major app stores by storm. A/A testing is not that common in the context of app store optimization. However, there are rare cases when this method is applicable. Learn what you need to keep in mind performing this kind of experiments. Some A/B tests require substantial volumes of traffic. This drawback can be mitigated with help of Bayesian Multi-armed Bandit (MAB). Discover the principles behind this alternative approach which helps to choose an optimal variation with less traffic. Sample size influences statistical significance checking greatly. Unfortunately, there’s no magic number that suits all cases as an optimal traffic volume is highly individual. Let’s deconstruct one of sample size measuring methods for ASO A/B testing. High statistical significance is a defining characteristic of a successful A/B experiment in the context of app store optimization. Discover a detailed review of all calculations behind checking the statistical significance of A/B testing results. Facebook Ads is one of the leading advertising channels, its high quality makes it a great traffic source for A/B experiments. SplitMetrics integration with Facebook Pixel takes the efficiency even further allowing to improve conversion rates and lower CPI. Screenshots set is one of the most impactful product page elements in terms of app store optimization. Improvement of screenshots increases conversion rate by 18% on the average. That’s why publishers have to pay extra attention to perfecting these visuals to succeed in ASO. Publishers can have up to 10 app store screenshots on their product pages in the App Store. The screenshot allowance was increased due to the introduction of Creative Sets for Apple Search Ads. However, only 11% of users looked through all screenshots even with 5 images limit. Learn more about scroll depth benchmarks and how you can use them in your ASO. When it comes to designing app screenshots, it’s not that easy to decide in which direction to go. Let’s deconstruct 10 app store screenshots and determine what makes them great to give you some inspiration for your store product page visuals. The optimization of an icon usually results in the average CR increase of 13%. In a way, an icon is a logo of your app so you should design it with care considering lots of different aspects. Check out the guide to mobile icons and find out all technical requirements, best practices, and tips for app store optimization of your icon. Video app preview is one of the most controversial product page elements which can either skyrocket your app’s performance or frighten users away. Check out this webinar to learn how to create powerful app previews to complement your ASO efforts. Uploading an app preview to your product page is always some sort of a gamble. To reduce the risk factor it’s necessary to A/B test your potential videos carefully and prioritize their quality. Learn 10 hacks to optimizing your video assets properly. Explore how mobile A/B testing helped such companies as Rovio, Prisma, Zimad, MyTona, MSQRD, and others succeed in app store optimization and achieve considerable conversion increase. If you’re trying to put your app up on the App Store, it’s definitely worth investing your marketing spend in Apple Search Ads. It may have a significant bearing on your app visibility and conversion providing you apply certain strategies and tools. Explore the most efficient ways of empowering your Apple App Store ads. The world’s first Apple Search Ads conference hosted by SearchAdsHQ united 13 experts in Apple App Store ads. The materials of this online conference include 12 insightful talks on Apple Search Ads benchmarks, account structures, checklists, automation rules, etc. CPT, CPA and TTR Benchmarks by Categories shed light on what to expect working with Apple Search Ads. The analysis is based on 390 million Apple App Store ads impressions, 14.5 million app downloads and $20 million ad spend. Applying filters is one of the most effective ways of Apple Search Ads optimization as they provide revealing insights applicable to further improvement. Learn what drives your ad spend up and how to boost your Apple App Store ads efficiency using SearchAdsHQ filters. By expanding the list of keywords in a smart way, you can sufficiently boost traffic in Apple Search Ads and, more importantly, attract high-intent users. Explore the very basics of Apple Search Ads keywords as well as approaches to searching and analyzing them. Uncover how to run discovery campaigns and optimize search terms reports. When it comes to Apple Search Ads, cohort analysis lets you know which keywords are likely to attract lucrative users. Evaluating ROAS and revenue from cohort users and tracking their purchasing activity over a certain time period, you can define Apple App Store ads campaigns, ad groups, keywords, etc. that require optimization. If you manage an extensive Apple Search Ads account with thousands of keywords, it’s worth considering SearchAdsHQ automated bidder which makes sure that the average Cost per Action (eCPA) doesn’t go beyond your Target Cost per Action (CPA). Thus, you save time for account optimization, strategy enhancement, and volume growth. Find out the current list of storefronts that support Apple Search Ads and learn how you can streamline duplication of your Apple App Store ads campaigns for new markets with help of SearchAdsHQ. Creative Sets in Apple Search Ads give marketers more room for maneuver making it possible to align various keywords with different screenshots and app previews. Thus, you can make your Apple App Store ads more relevant and attractive for different user groups. This case study tells how the Red Rock Apps team managed to avoid costly mistakes launching their first campaigns with Apple Search Ads. Managing Apple App Store ads with help of SearchAdsHQ, they bypassed overspends or super expensive subscriptions. In-depth understanding of Apple guidelines is essential knowledge if you plan to enter the App Store and engage in ASO. Taking your bearings in all App Store requirements makes an app submission as smooth as possible and minimizes the possibility of being rejected. It’s not always easy to understand which app advertising platform to choose. 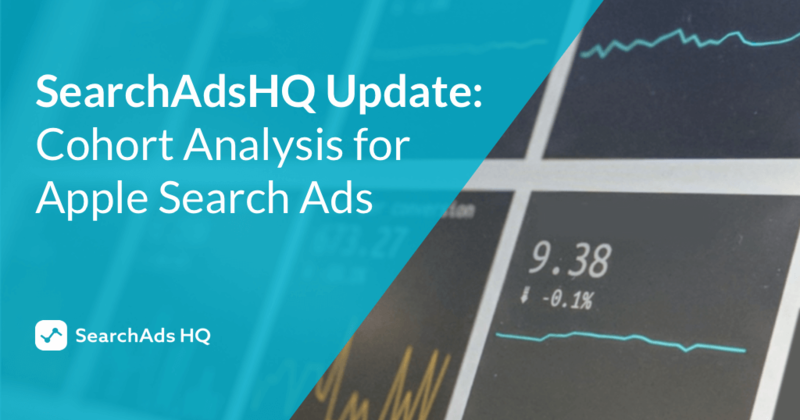 In this comparison of Apple Search Ads, Google Ads and Facebook Ads, we show features of these ad channels and explain how they function. The market of mobile apps evolved dramatically over the past few years and severe competition is the reality marketers have to face. It’s nearly impossible to succeed in app store optimization without having a trustworthy app advertising channel. Discover major tactics for choosing an optimal ad source and the best possible tools. Marketers have a lot of questions when they start working with Facebook mobile ads in the context of acquiring new users, driving traffic to A/B tests, and other ASO activities. Our checklist will make it clear what steps it’s necessary to take to launch an impactful Facebook Ads campaign. Keywords refinement is one of the most essential ingredients of a successful app store optimization strategy. Furthermore, it’s a great way of boosting installs under the conditions of a limited ads budget. The record shows that app with a four-star rating and higher scores are pushed higher in the App Store ranking and favor better discoverability and conversion rate. That’s why you shouldn’t neglect rating and reviews when it comes to your app store optimization planning. Mobile app tracking platforms provide data which is essential for ASO and optimization of in-app flow. The data on user events and a source of installs helps to eliminate guesswork when it comes to planning, budgeting and overall refinement of mobile app marketing. In autumn of 2018, Google launched the updated version of their Play Store which represented the most substantial redesign of the platform over the past few years. Discover Play Store changes and learn how you can adjust your app store optimization efforts to the update.